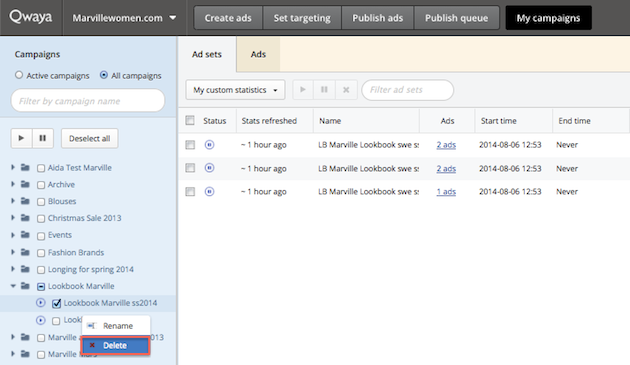 To delete one or more campaigns, navigate to ‘My Campaigns’. Navigate to the left sidebar and select the campaign(s) you wish to delete. Right click on the campaign and select delete. Please remember that you’re only able to delete one campaign at the time.